A tale of two sides of Colorado on Monday. The western side of the state saw some much needed rain, along with some not needed lightning. 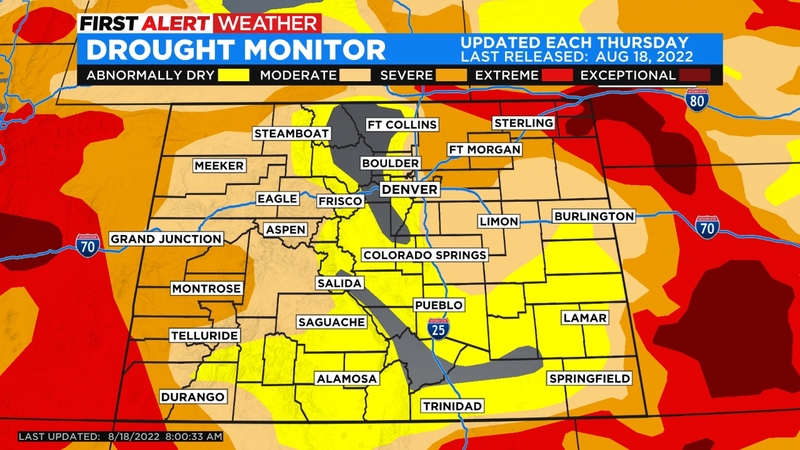 The rain, although not a ton, will help some very dry areas of our state. Meanwhile, the Front Range and plains were dry with lots of sunshine. And a lot of haze. Our air quality continues to be poor, we’ll have another Ozone Action Day on Tuesday. Tuesday brings an increased chance for storms here across the Front Range and foothills. Storms could fire up as early as noon. Most storms will be isolated, not everyone will get one. 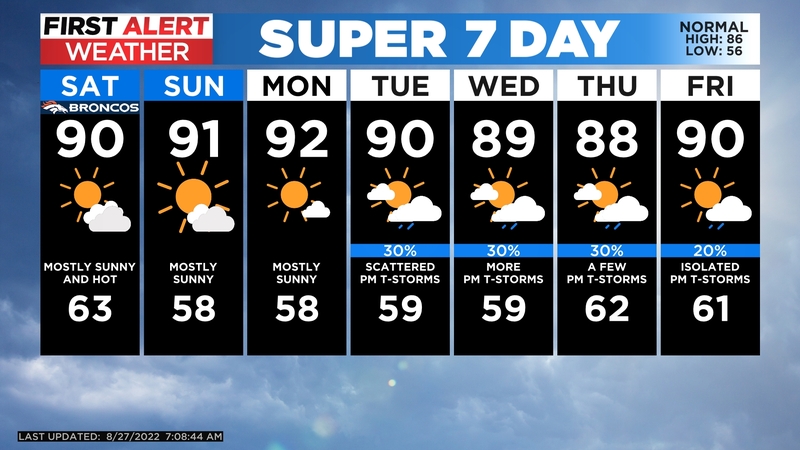 The rest of the week follows the same pattern, with a few severe storms possible on Wednesday. Highs should stay in the upper 80s with plenty of sunshine early in the day.